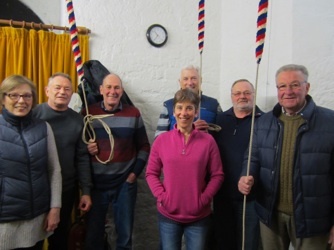 Our enthusiastic team of bell ringers meet every Thursday evening from 7.30pm and on every other Sunday, 30 minutes before the service. For further information, please contact the Captain of the Bell Tower, Derek on 0116 259 7280. 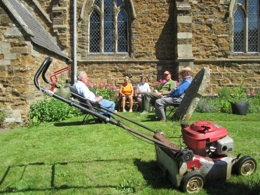 “The Churchyard Gang” meet on Thursday mornings starting in the Spring through to the Autumn to ensure the churchyard always looks its best. More volunteers are always welcome. 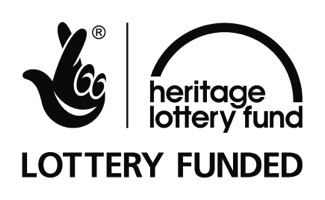 The ongoing maintenance of St. Peter's Church has so far been supported by a grant from the Heritage Lottery Fund for £189,000. Thanks to National Lottery players we will be able to continue the repairs to the tower and north wall. 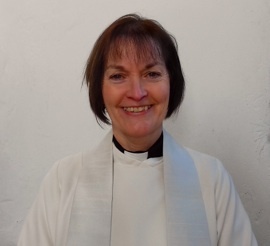 We are also hoping to install an accessible W.C. and Servery which will make the church altogether a more user friendly environment for our village. 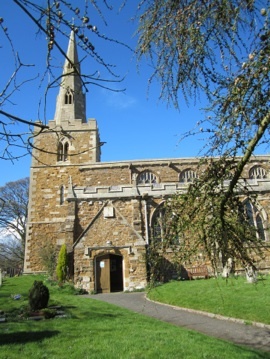 St. Peter’s Parish Church is set in the heart of the small Leicestershire village, Tilton on the Hill. The earliest parts of the Church date back to the late 12th century, evident in the South Chancel door and Tower. The spire is of the Decorated period as is the South Aisle. The North Aisle and arcade were rebuilt further south, so that the Nave is not centered on the Tower and Chancel. The Chancel was remodeled and the Clerestory added in the Perpendicular period. A restoration was carried out in 1854 by R.C.Hussey. The Church is Grade 1 listed and a cross in the churchyard is Grade 11 listed. The Church stands within the Tilton on the Hill Conservation Area. Look out for the Gargoyles in and around the church and click here for more information. Services are held on the 1st and 3rd Sundays of each month at 11am. The Church is available for Marriages, Christenings and Funerals and is open everyday during daylight hours. Hope to see you soon!